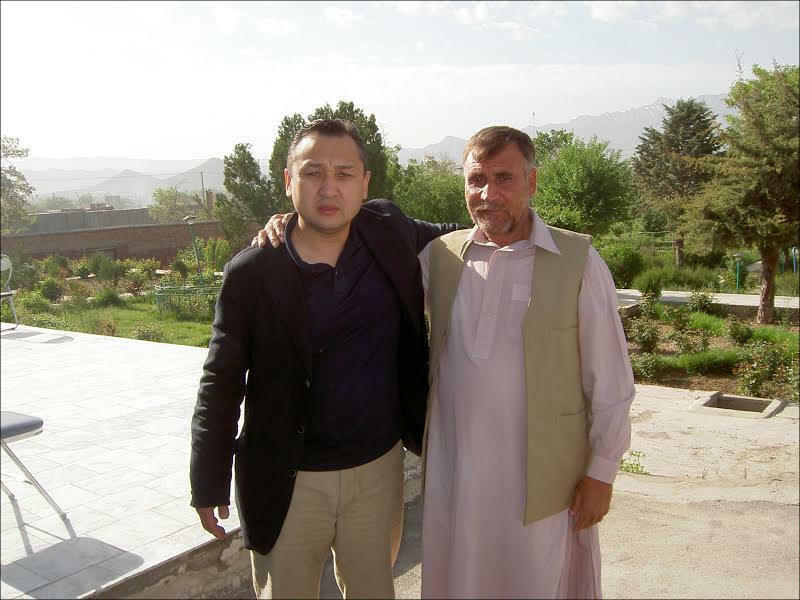 Taalatbek Masadykov, the former political director of the UN Special Political Mission to Afghanistan in 2002-2014, has had a conversation with Central Asia expert Arkadiy Dubnov to discuss the current events in Afghanistan and whether Taliban or IS could or should be negotiated with. They also discussed the parties interested in the continuation of war in Afghanistan; the current and past Afghan presidents; IS’s funding sources; the Pashtos and the ethnic composition of Afghanistan; and threats Central Asia is facing currently. Journalist Dubnov: Taalatbek, tells us briefly about yourself. 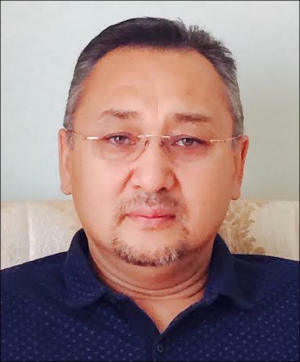 Expert Masadykov: I was born and raised in Kyrgyzstan. I graduated from a high school in the city of Frunze in 1978, and matriculated in the International Relations State University at Moscow under the USSR Foreign Ministry the same year and graduated in 1984. I then served in army where I taught the Pashto language in the military institute under the USSR Defence Ministry. After the service, I joined a group of Soviet advisors in Afghanistan, where I spent just under two years at the Academy of Sciences and Ministry of Tribal and Border Affairs. 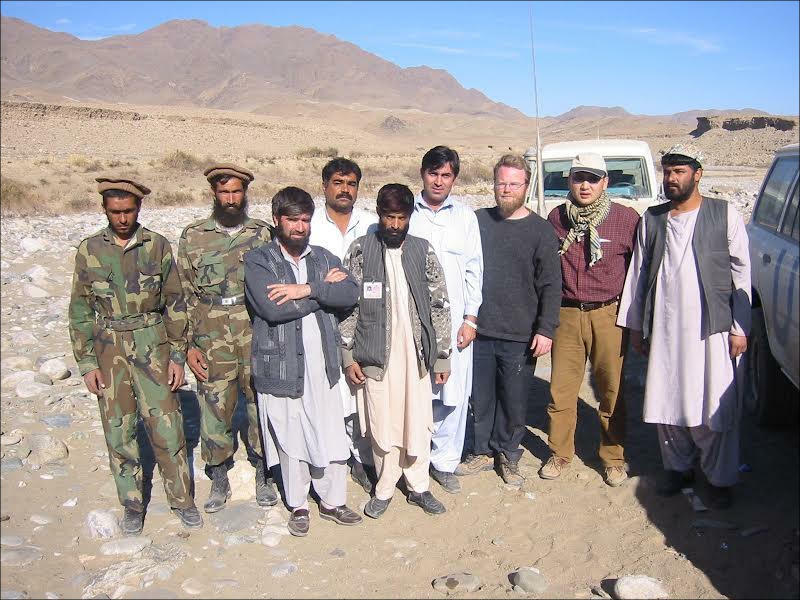 I was an interpreter in the Pashto language and expert on tribal matters. 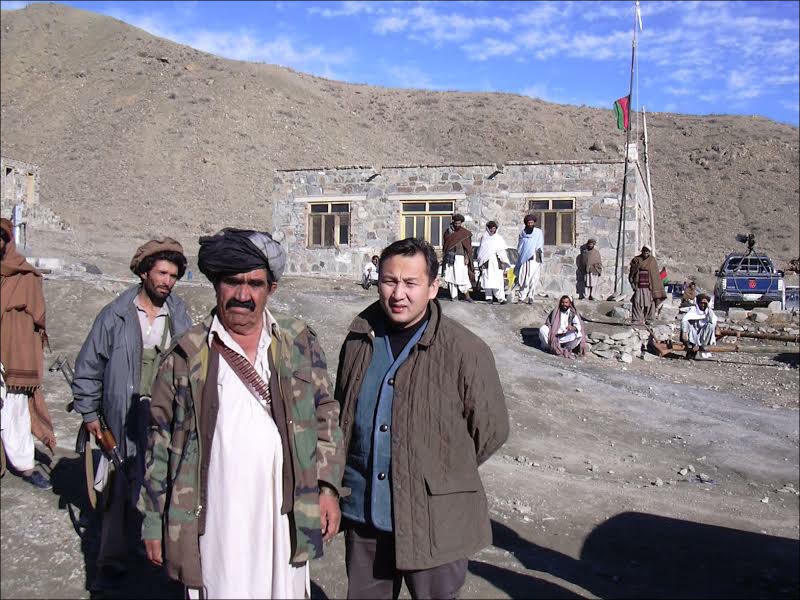 I returned from Afghanistan in 1988, and continued graduate-level education at the Institute of Asian and African countries under the Moscow State University followed by a PhD. I was then a businessman after the Soviet Union collapsed—all this in Moscow. 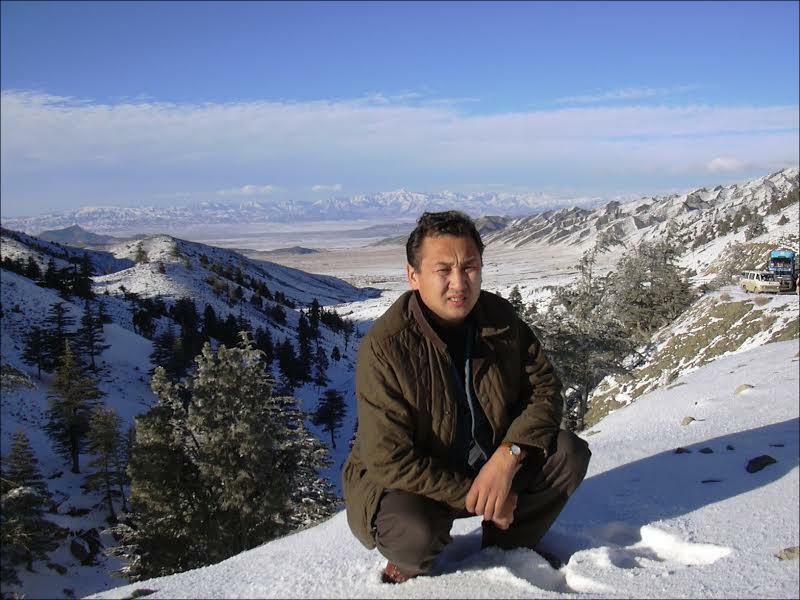 I worked for a short period of time in Kyrgyzstan as a university professor. I then matriculated at the London School of Economics and Political Science for a PhD; then worked at the UN for a period just shy of 13 years: Afghanistan, Pakistan and Iran. 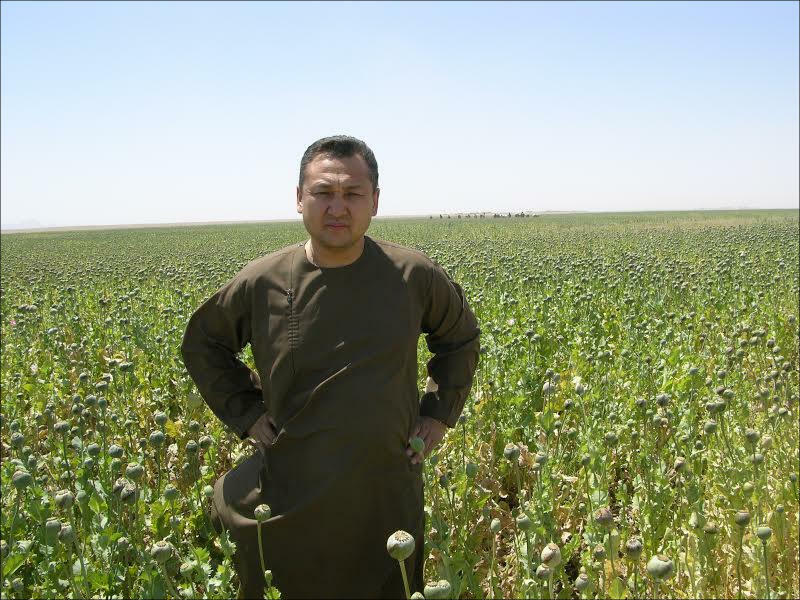 I am an analyst as of December 2014, and provide expert consultations on regional security. A clash between, shall we say, passionary Islamic and Judeo-Christian cultures is of existential nature at this time. Do you see the tragic essence of the current clash? That, which scares the West and incites hatred in the East? Based on my extensive experience that spans many years during which I travelled to various countries in the Muslim world, Asia, Europe and America with my leadership and met leaders of these countries, ambassadors and diplomats and the common citizenry, I can say that I have not felt hatred among ones and fear among the others. But replacing the values and culture in the Eastern countries with the Western ones would probably be very difficult; most likely impossible. To my mind, that is not necessary anyway. My personal opinion is this: IS is something that was artificially created as a result of incorrect and unreasoned approach when certain external powers attempted to organise and arm to groups that oppose the Bashar Assad regime. At one point, control over the project was lost and more radical forces snatched the initiative, which then led to the establishment of IS. I think the forces linked with the establishment of IS and those countries that suffer from its activities, as well as others that may possibly suffer in future, must sit down at the negotiations table and achieve common understanding and joint actions. What will happen to IS when, as I hope, the world defeats it? For instance, the Taliban changed with some parties perceiving the group as a threat, while others [see it] as one of the political forces in modern Afghanistan. It is difficult to say. I will give you an example: Back in 2003-2007, we informed our leaderships in the UN and diplomatic personnel of various countries in Kabul that it was necessary to immediately launch the process of national reconciliation because the more it was delayed the more challenging it would become. That Taliban would become stronger was not the problem; [the problem was] more radical and extremist forces would simply emerge. Compared to these groups, the Taliban would seem like a more soft force and be pushed into the background. My high-ranking colleagues in the UN Special Political Mission in Afghanistan would say, “Why are you so pessimistic about all this?” “No, we are optimists and realists. However, if we lose this moment, we would then be forced to talk with other, more radical players.” And IS is becoming that more radical force today: almost all groups that supported the Taliban pledged allegiance to IS and are joining its ranks. To defeat any terrorist organisation or any evil, its financial sources must be blocked. I think external forces, big countries and their secret services are well aware of financial supply sources [in question]. But I am no diplomat. I will name them, and you can object if you find doing so necessary. The claims suggest these funds are in Saudi Arabia, Qatar and primarily Gulf countries. Would you object? Dubnov: And to a lesser extent, possibly, IS is funded by similar funds of Western origin, Pakistan. I would not object to that either. Is peace possible in Afghanistan? War has been continuously waged there for almost forty years. It is possible. But that depends on a number of factors both commonly known and undisclosed ones, which political actors and diplomats do not publicly discuss. I think Pakistan, Afghanistan’s immediate neighbour, must genuinely reconsider its policies toward this country along with other forces that finances these policies. Otherwise this conflict will continue for a very long time. Are these forces of Islamic origin or Western powers? I think these are forces both from the Muslim world and certain arms of Western governments. Does Russia have anything to do with these strange forces, which continue inspiring the Afghan guerrilla? The modern Russia, that is? I don't think Russia needs it. In early 2000s, many were prone to think Russia lost any and all interest in Afghanistan. However, not only Russia but also all other countries in the region are strongly concerned by the serious destabilisation in Afghanistan over the last several years. Secondly, the potential threat of expansion of these destabilisation processes onto the Central Asian countries. Therefore, Russia and other nations are showing more interest in and engaging in more active discussion of how joint efforts would mitigate potential threats emanating from Afghanistan. Do you think cooperation between Russia and Central Asia regarding the threats from Afghanistan could be improved? Especially so in the light of Uzbekistan’s withdrawal from the Collective Security Treaty Organisation (CSTO)? Everyone was trying to clean their own room, disregarding the cleanliness in the entire flat. At this time, one could say the Central Asian nations and Russia launched not only active discussions of the situation, but also sharing information and are attempting to undertake certain activities jointly. The CSTO is a case in point. [The last] summit of the heads of state of the CSTO members took place in Tajikistan on September 15-17, 2015, where participants did not resort to excessive diplomatic rhetoric and openly raised the issue of potential threats emanating from Afghanistan and necessary measures required for preventing those. The Collective Rapid Response Forces of the CSTO member-states participated in joint military exercises. So the process is underway albeit somewhat belatedly. But it is better late than never. Is the Pashto factor, represented by the Taliban in this case, capable of consolidating the country and returning balance to it, which existed until Zahir-Shah was dethroned in 1974? On the other hand, is there a realistic possibility that Afghanistan could break up along these ethnic lines, establishment of autonomies, etc.? Let me start with the second part of your question. The potential break-up of Afghanistan is quite realistic. Not necessarily based on ethnic lines though; but certainly along religious and radical views; along those lines of support for more radical circles and more advanced strata of population. The Taliban of 2015 is composed of not only the Pashto: there are many Turkmen, Tajiks, and Uzbeks among them now. [Conventional knowledge] in 1996 was that the Taliban are Pashtos, and Pashtos are the Taliban. It is no longer possible to say so. 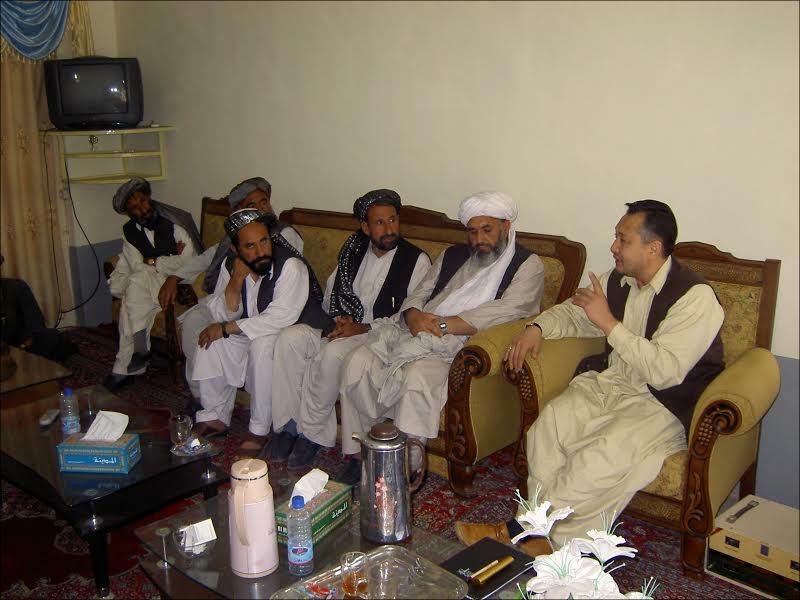 If the Taliban are now a multi-ethnic body, that unites not only the Pashto, could they return to power? I think it would be difficult. The population does not the Taliban regime to return. But there is a serious threat that the Taliban could eventually join those forces that support IS and those who call themselves supporters of IS in Afghanistan. If the Western countries abandon Afghanistan with no economic, financial and military support, as was the case following the withdrawal of Soviet troops from Afghanistan in early 1990s, then anything is possible. It is also possible that a very dangerous player could emerge and thereafter call the shots. Do you think the Western military contingent must remain in Afghanistan in one form or another? Everyone was saying in 2000s that the Western contingent is needed. Then, starting in 2004-2005, an opinion emerged that suggested the very presence of the Western military contingent is the actual problem, which [presumably] stimulated the continuation of the war in Afghanistan. So today, I would say, if the NATO bloc leaves Afghanistan, then no one knows the turn the situation will take. An officer in the intelligence department under the US Department of Defence told me unofficially that if NATO and Americans withdraw from Afghanistan by late 2016 as is currently planned, then the incumbent regime would fall in the matter of few days and IS would come to power. Is this the prevalent opinion in Kabul under President Ashraf Ghani as well? What is your perception of China’s presence in Afghanistan? What do the Chinese want; what did they achieve; what do they fear? They did not achieve much as of yet. The Chinese presence is obvious, but they are investing in the country and playing a certain role in its economy, developing [bilateral] trade and hoping they will work on various deposits in the country. But China abstains from getting involved in the Afghan politics. China, like the Central Asian countries, is concerned with the destabilising processes unfolding in Afghanistan. Are they prepared to make any contribution to security? Militarily, that is? As far as sending troops is concerned—I don’t think so. But providing military and technical assistance—yes. Will they act under the Shanghai Cooperation Organisation’s auspices? I think it is very appropriate platform. Does IS have a chance to become “our own” in Afghanistan given its core is composed of Arabs who are traditionally not very welcome there? I think it is becoming “our own” there by now. There are various ways of “implanting” IS. There is the Hakkani network, which was considered to be the radical wing of the Taliban. They have already declared their allegiance to IS. Gulbeddin Hekmatiyar’s party also declared it is joining IS. At this time, partially thanks to foreign forces’ involvement, IS is gaining popularity and enjoys more financial resources coupled with more military and technical assistance than the Taliban; IS is practically establishing its own rules in Afghanistan. There is a very important fact—and this must raise concerns in Central Asia. Look at the number of northern Afghan provinces that border on Central Asia: Herat, Bagdis, Faryab, Jauzjan, Balkh, Kunduz, Takhar and Badakhshan—eight provinces. That said, IS and Taliban peacefully coexist in these provinces and jointly stage operations. They support each other here, while in southern regions they were fighting each other quite recently, and continue occasionally doing so to date. And that which we warned about seven to 10 years ago—the potential emergence of a new, more radical actor unless we launched peaceful talks with the Taliban—has fully manifested itself now. There is a varying number of reported training camps in the territory of northern provinces. The Russian mass media say there are seven, but if one counts smaller camps as well, then the number swells significantly when those located in other provinces are also counted—Sary-Pul, Samangan and Baghlan don't share borders with Central Asia. And there is quite a significant number of people at these training centres. I had a conversation yesterday with local ethnic Uzbek commanders in Sary-Pul. They said so-called IS groups are executing those who works for the government or supports it; the people there are afraid. Even the Shiite Hazaras, which would seemingly have nothing in common with the Sunni IS, are starting to say it is better to come to agreements with IS now—even though the IS approach to Shiites and other groups in Islam is violent and radical—because they have no serious support or forces to resist the group. And this process is now underway. Late last year and early 2015, international forces in Afghanistan did not want to discuss IS, believing the IS threat in Afghanistan was exaggerated. The Afghan government, on the other hand, also preferred not talking about the matter. But it is no longer possible to conceal the problem; I think IS is actively expanding its presence. For instance, recent news reported General Rashid Dostum oversaw a successful operation. But according to Afghans, the operation was more a military propaganda. He travelled through several northern provinces and the Taliban simply retreated as in guerrilla wars. However, as soon as troops under Dostum’s command left these provinces, the Taliban returned in bigger numbers than before. 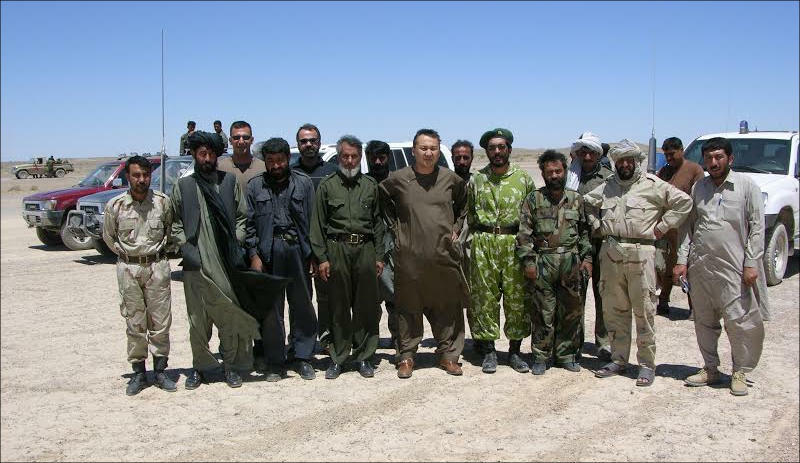 Therefore, it is somewhat premature to speak about triumphs Dostum’s military operation enjoyed in northern provinces. Are there Arabs in the ranks of IS in northern Afghanistan? Yes, there is such information. 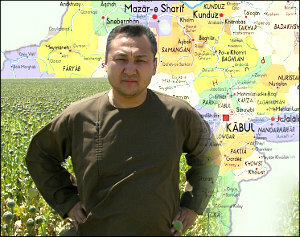 Among the Taliban and those who call themselves IS members, there are those who speak in the Arabic language and those who speak Russian (these could be Chechens, Tatars, Uzbeks, Tajiks, Kyrgyz—whoever); hence the conversations about the presence of Central Asian ethnic groups, Caucasians, Tatars, Pakistanis and Arabs. Lately, there are conversations about Afghanistan emerging again as of a significant source of terrorist threat for Central Asia; especially so after the significant operation the Taliban staged by capturing Kunduz early October. What is your opinion: how realistic is the danger of possible destabilisation in the region due to these threats? Starting in 2007-2008, experts started consistently raising the issue of potential threats for Central Asia emanating from Pakistan and Afghanistan. At the time, the number of former Soviet citizens in the extremists’ training camps in Pakistan was not this big. Many of them ended up there due to religious and ideological convictions. But the number of young men ending up in these terrorist training camps swelled significantly starting in 2010-2011. By this time, there was a certain number of young people who went there due to entirely economic reasons; in a search for jobs, some of them did not even know where and why they were going. To my mind, at this time, the threat of destabilisation in Central Asia is not only realistic, but also high. According to several sources in power-wielding bodies of Afghanistan (who prefer to remain unnamed), the number of armed extremists from the former Soviet Union, who crossed into Afghanistan from Pakistan, has reached several thousands over last several months alone. These trained young men are dispersed throughout the northern provinces of Afghanistan. The capture of Kunduz and terrorists’ control over many districts in Badakhshan, Faryab, Kunduz, Sary-Pul, Jauzjan and Baglan Provinces are a case in point. That said, I am only naming the northern provinces, which are only an arm’s stretch away from our countries. Despite selfless efforts of Afghan soldiers and officers in the fights against the extremists, power-wielding bodies still lack technical means in order to successfully fight with well-trained and armed foreign extremists as well as local armed opposition. I think maybe it is correct not to propagate threats. But remaining silent about them is not a solution either. We already discussed IS, Taliban, and how the latter are joining the former in bigger numbers (not without foreign forces’ help). I will add that the Taliban did not harbour any serious ambitions and intentions to expand their influence beyond the borders of Afghanistan. That said, IS does not conceal its plans to establish its rules in Central Asia and the greater region. I think so; the threats are quite realistic. The situation in southern Afghanistan has always been bad. The situation is the north is also changing as of late, and destabilisation processes, should such unfold, will be much more serious than those 10-15 years ago.